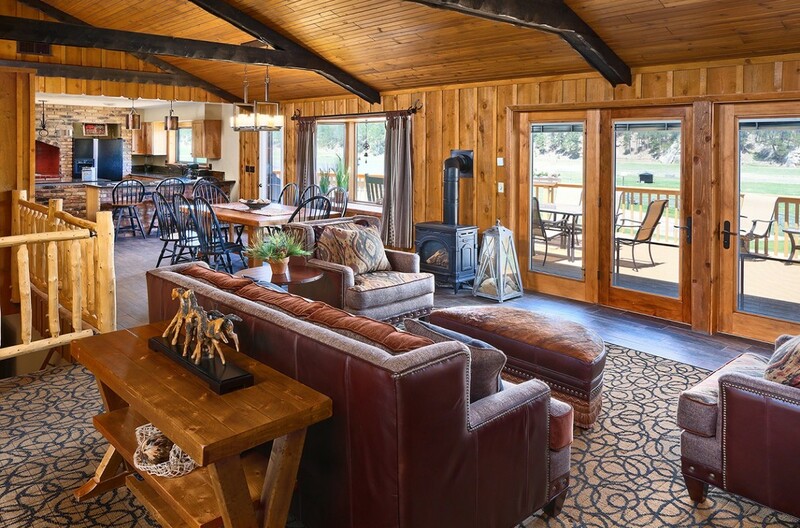 Newly remodeled, French Creek Ranch offers a secluded getaway for the whole crew. 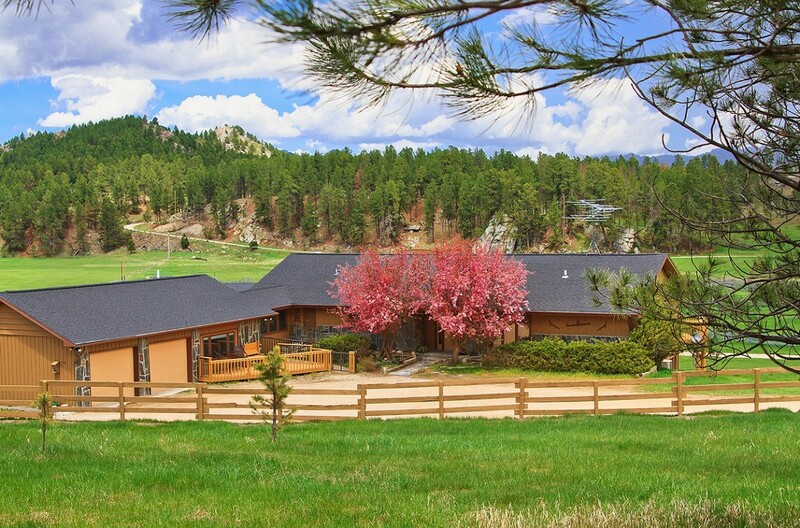 The house can accommodate up to 24 guests, and comes fully stocked for fun, including a game room with a pool table and wet bar, wraparound deck, basketball court, and stables for your horses. 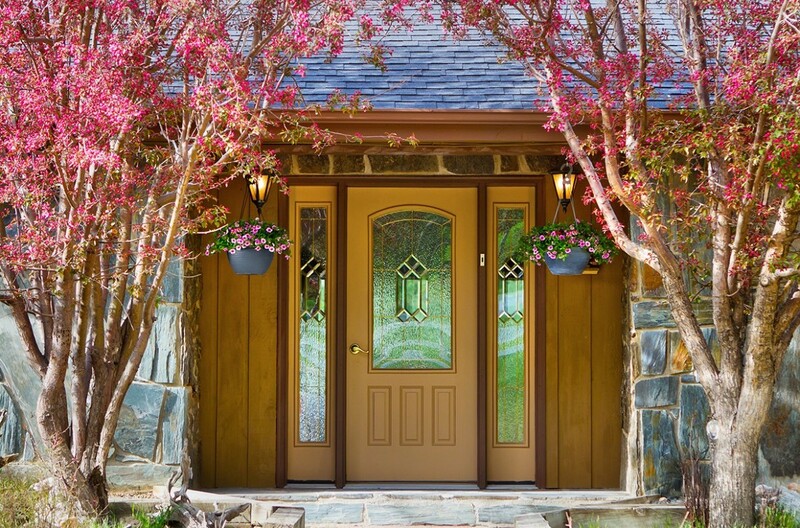 This unit is a renovated Bed and Breakfast, so there is plenty of room to spare. 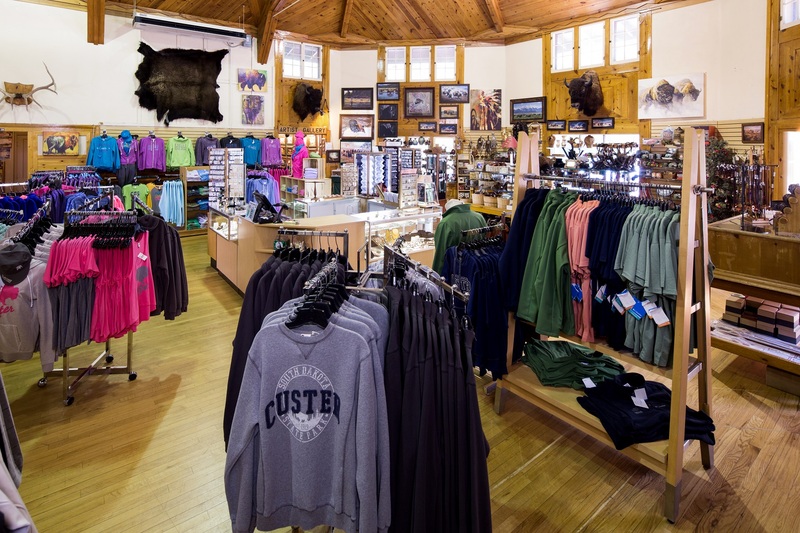 French Creek Ranch is located just over 2 miles from Rock Crest Lodge in Custer City, where you’ll check in, and it’s only a few minute’s drive from the West Gate Park entrance station near Stockade Lake. 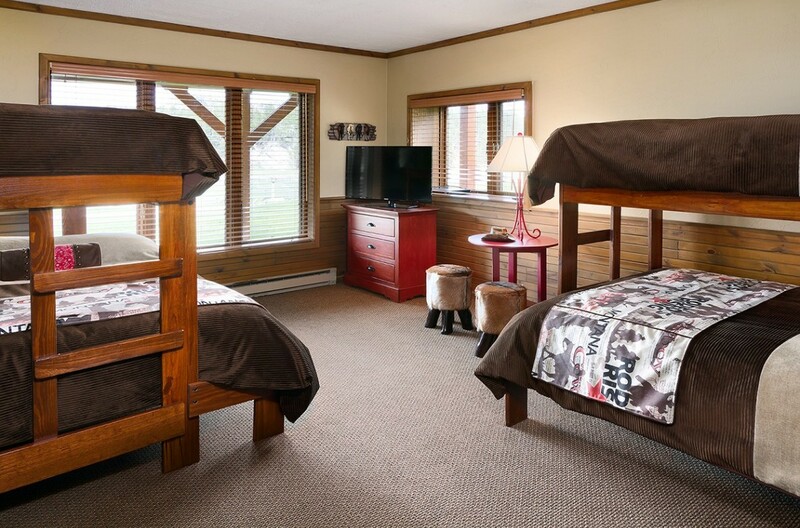 Expect the same exceptional service and accommodations as cabins located in the Park. 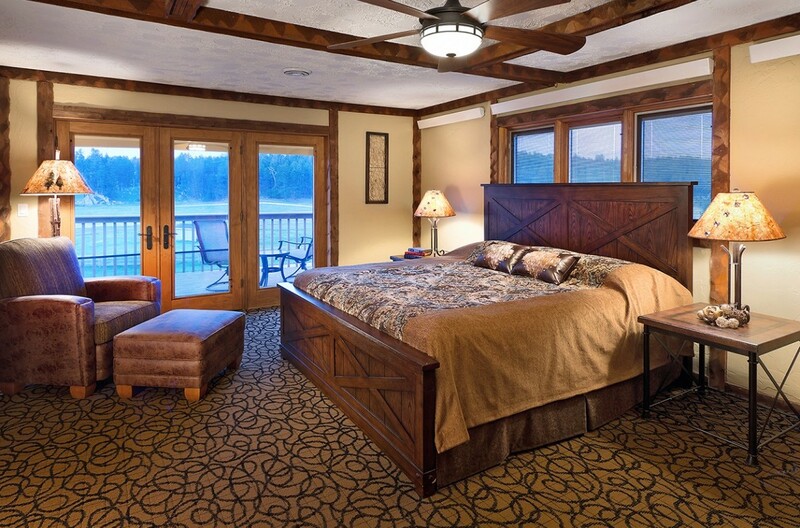 This unit is a great alternative when the Reunion Cabin is booked. Two-story house with 6 separate bedrooms. Sleeps a maximum of 24 people. Read the full description of bedrooms. Large, full kitchen with pots, pans, dishes, and utensils included. Full refrigerator/freezer, stove/oven, dishwasher, microwave, and toaster. 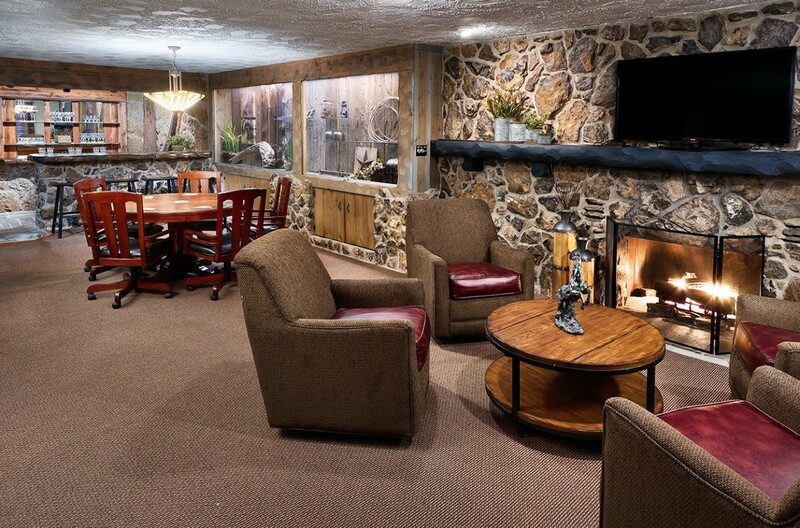 Basement game lounge with pool table and wet bar. Wraparound deck overlooking 20 acres and babbling French Creek. Outdoor fire pit and propane grill. Total inventory: there’s only 1! Three RV sites with water, sewer, and electrical hookups available with rental of the unit ($30/unit/night). 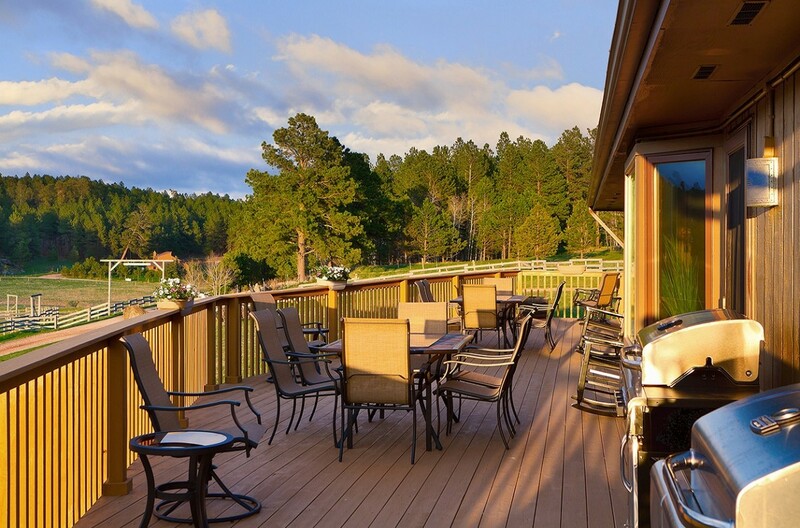 You can check availability for the French Creek Ranch by calling 877-412-2246. Online inventory not updated. 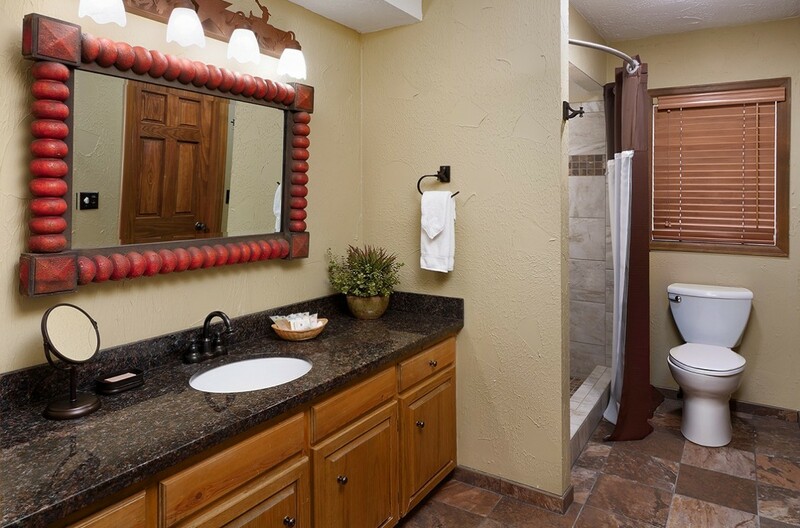 Our specialty cabins are the largest cabins in the park—but book ahead, they fill up quickly. 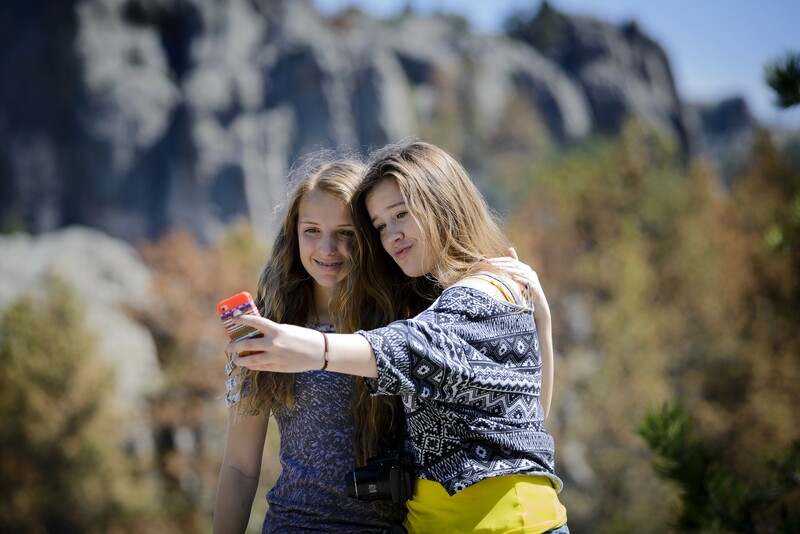 Please read our Reservation Guarantee and Cancellation Policy before you book.